You’re an eBay shopper and a month ago, you made a purchase on eBay. You waited and waited for it to arrive but you’ve finally contacted your seller, only to be told that it was delivered weeks ago only it wasn’t! Or imagine this scenario: You’re an eBay seller and have been contacted by a buyer who claims that their purchase from weeks ago hasn't arrived. The tracking information for the parcel says that it was “delivered” some time ago, but the buyer swears that they didn’t get it. What's going on here? More often than not, when buyers and sellers find themselves at odds over whether a package was ever delivered, it's the shipper that's to blame. So what to do? Here are some tips to help you to sort out shipper mistakes and issues. Some carriers (UPS, FedEx) do this automatically, but others (USPS) charge extra for trackability. The scenarios given above are precisely why shipments with tracking numbers are better than shipments without —they allow both parties to figure out what's happened. Sometimes the online tracking information for a package contains useful extra details. Phrases like "CHECK TREE" and "BNTH WDW" can mean that a package was left behind the trunk of a tree in your yard or in a window well around your house or building. It can be difficult to decipher this information, but it can also provide valuable clues. Many carriers have additional information available to them, beyond what's reported in the tracking system, and can provide clues as to what has happened to a package. Call 1-800-222-1811 for USPS, 1-800-742-5877 for UPS, or 1-800-463-3339 for FedEx. Other carriers' numbers are listed on their respective websites. Press '0' or '*' repeatedly if you're trapped in voicemail to get a live operator. 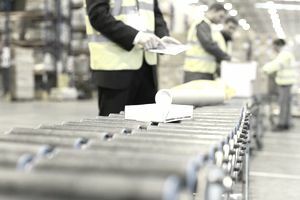 Tracking processes are run by humans and can fail from time to time, and bad route carriers have been known to skip delivery attempts to shorten route times. If you know that a package is overdue, visit your local USPS, UPS, or FedEx office (not an affiliate but the actual local office). Take a photo ID with you that lists your home address and inquire about your package. You may find that it is sitting undelivered in the warehouse, waiting for you. If a package can't be found, the buyer should file an eBay/PayPal dispute and either buyer or seller should file a claim with the shipper. Once the latter is resolved, the former can be closed. No carrier is perfect for every delivery area or for every type of item, and some carriers can be notoriously bad in particular areas or circumstances. If you've had repeated bad experiences with a particular carrier, it's time to be picky. Switch your default carrier if you're a seller, and/or if you're a buyer do business only with sellers willing to ship using carriers that work well for you.